Whitlockite is a calcium magnesium phosphate mineral. Frondel (1941) named the mineral in honor of Herbert P. Whitlock (1868-1948), former curator at the American Museum of Natural History (New York) and author of The Story of Minerals (1925). After some debate about the chemistry and space group symmetry of whitlockite, Calvo & Gopal (1975) demonstrated essential magnesium and hydrogen in material from the type locality. 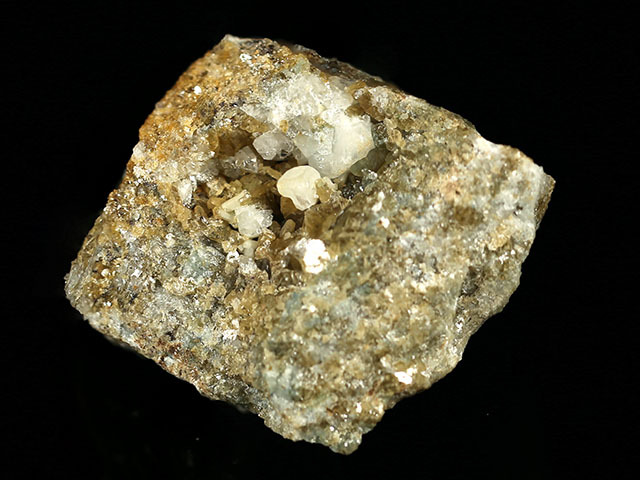 This features a prominent 3.5 mm modified rhombohedron of whitlockite. 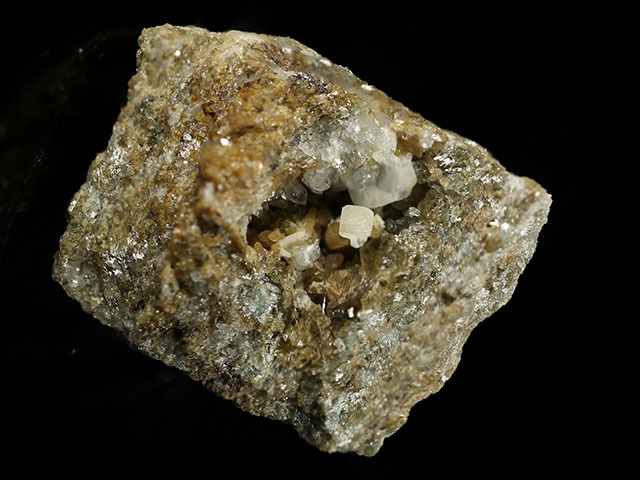 The stark white crystal protrudes from a cavity of siderite and quartz crystals, which also contains a larger but incomplete whitlockite crystal. 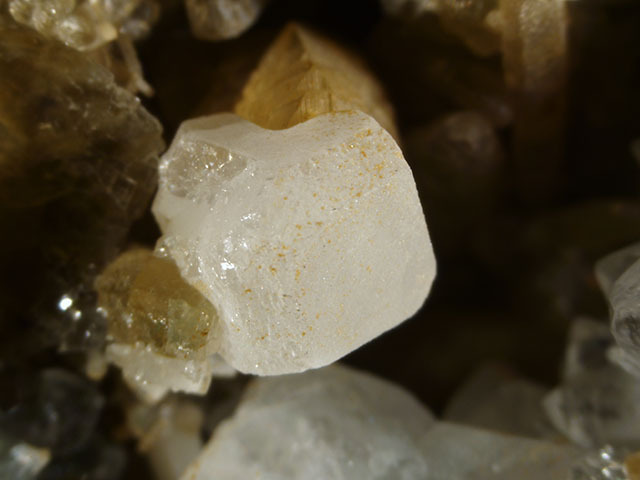 The matrix consists of quartz, muscovite and fluorapatite. Large crystal size for the locality. This is a choice piece! This specimen was part of the personal collection of Ralph Merrill, proprietor of the prolific mail order business Minerals Unlimited. Merrill obtained this specimen from Clifford Frondel in 1947; there is a Harvard collection label present. Merrill's collection card and label also ship with the specimen.